Audinate has made its Level 2 Dante Certification available online. This follows the success of the Level 1 online Dante Certification that was launched last year, with more than 5,000 people now certified. 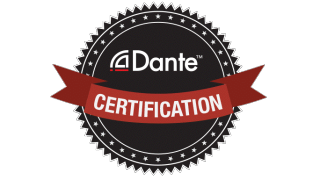 The Dante Certification program was created in response to widespread interest in Dante networking and audio networking best practices. Level 1 certification covered basic principles of audio networking and Dante. Following the release of Level 1, requests for further education led to the development of the Level 2 Certification. Level 2 Certification was previously offered only at live events. This half-day training course was followed by a knowledge test and a hands-on skills test. Audinate has made the entire Level 2 course available online for those who are unable to attend live events, but inspired to extend their Dante education. The Level 2 course also includes an interactive simulator for the hands-on skills test. The Level 2 Certification course is an intermediate- to advanced-level course that prepares AV personnel to design larger Dante network systems, and provides training on audio networking concepts such as clocking, unicast and multicast, latency, and redundancy. This course contains 10 instructional videos, a knowledge test, and the simulated skills test. The Level 2 certificate is awarded to those who successfully complete all modules, and pass both tests.